Today’s Pet Fashion Show Feature is FENNOfashion. Cincy Chic’s Pet Fashion show will take place on September 23 from 6-9pm at Performance Lexus. The event is free to attend and all the proceeds go to Recycled Doggies. The event will feature a lot of great stuff for your favorite canine sidekick! But one of our fab vendors who will be there is FENNOfashion, and she specializes in poshing up pet owners (or any human for that matter! haha!). 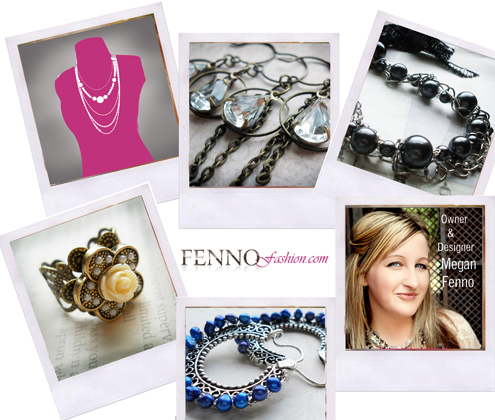 FENNOfashion is a vintage inspired jewelry and handbag accessory company founded by the pocket-sized fashionista, Megan Fenno. She launched her company several years ago after graduating from Savannah College of Art with a BFA in fashion & accessory design. She eventually made it back to her hometown of Cincinnati where she brought with her FENNOfashion. Now, all of her pieces are designed and created right here in Cincinnati. Besides, designing and selling accessories, Megan is now providing fashion tips for all of us here in the tri-state area! Megan has recently joined forces with three top radio stations: Q102, B105 and 94.1, as their Senior Fashion Editor. She also provides daily advice at www.Cincysavers.com. 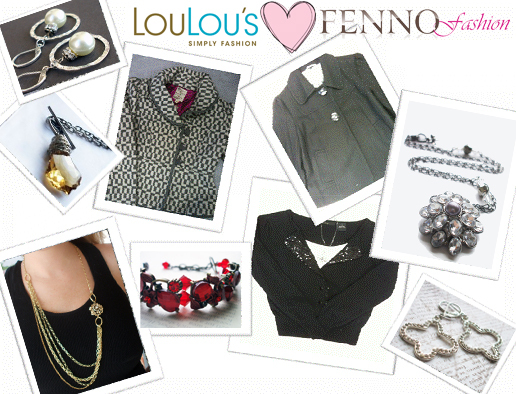 FENNOfashion can be found at local boutiques (such as LouLou’s), online at www.FENNOfashion.com, and at events, like Cincy Chic’s upcoming Pet Fashion Show! Attendees of the event will get to see FENNOfashion’s new fall collection, as well as FENNOfashion’s signature pieces. The night of the Pet Fashion show guests will be able to enjoy a 20% discount and an opportunity to chat with Megan, the owner of FENNOfashion, who will be taking custom orders, and offering up great fashion advice too! So, make sure you check out www.FENNOfashion.com to start picking out your favorite pieces. And make sure you like FENNOfashion on Facebook for exclusive sales, contests and sneak peeks of the newest products. Also, remember to get your tickets for the Cincy Chic Pet Fashion Show! The event is free and space is limited! Thanks to my intern Leah Reitz for helping me put this blog post together!